Inspired: An Improv Blog Impride Workshop! 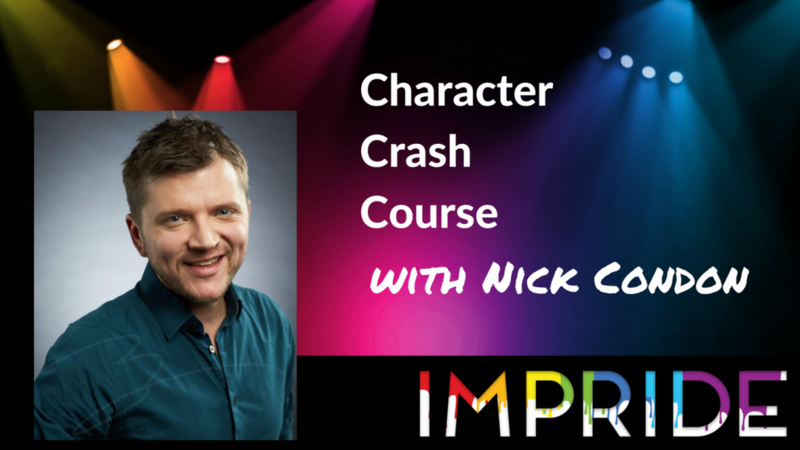 Character Crash Course with Nick Condon! Impride Workshop! Character Crash Course with Nick Condon! Strong character choices can take your improv scene to the next level. Luckily, Nick Condon will be here to help you develop this skill! Whether you’re looking to grow beyond your stock characters, or don’t yet know who your stock characters are, this course will help break through and heighten who you can be onstage. This two hour workshop will help you listen to yourself and realize how you are effects who you are. Learn to discover real, honest, believable, fun to play characters, in the moment that will stand the test of time. This workshop will take place on July 7th at 10:00 am.